Flag is not a mere piece of fabric that flutters about in the breeze. It represents the feelings and ideas of the people and stands for them. 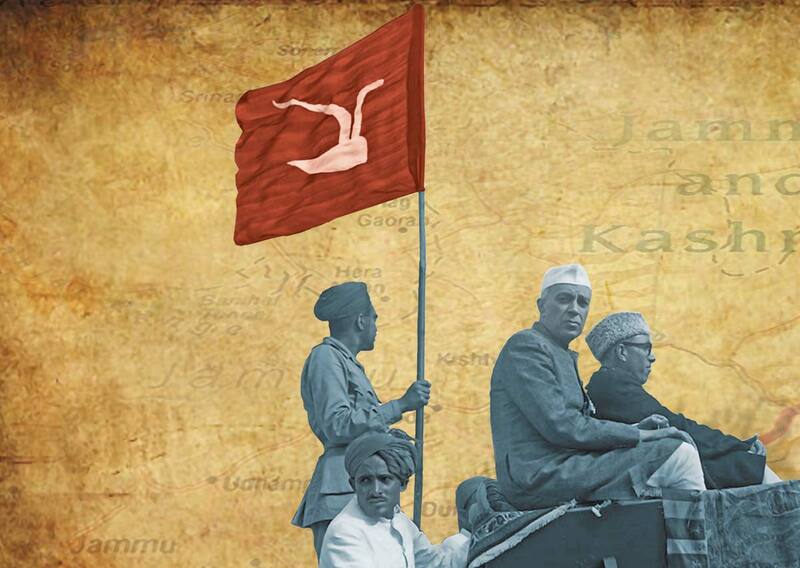 The first Kashmir flag was adopted by the first largest political party of Jammu and Kashmir, the All Jammu and Kashmir Muslim Conference, which was formed in the lawns of historic Pather Masjid Srinagar during a meeting between October 14 and 16, 1932. It was undoubtedly first and last political body of Jammu and Kashmir that had drawn the support of entire Muslim population of the State. The proceedings of the Muslim Conference began by the unfurling of its flag that had a green background with a crescent and a star. (See Sheikh M Abdullah’s The Blazing Chinar published by Gulshan Books Srinagar, 2016, page 122) The green background represented [then]85 per cent Muslim population of the State of whom 96 per cent lived in Kashmir valley alone. The crescent and star were [Muslim] national religious icons. The flag was hoisted in presence of 200 Muslim leaders and 100 pressmen on the pandal, and three lakh people around on October 14, 1932, by Waliullah Zain-ul-Abedin, a prominent Punjabi Muslim representative of All India Kashmir Committee. (See M Y Saraf’s Kashmiris Fight For Freedom ( 2009) pages 482-83) The flag corresponded [corresponds]to the flag of Indian Muslim League which later became the Pakistani national flag with additional white stripes. 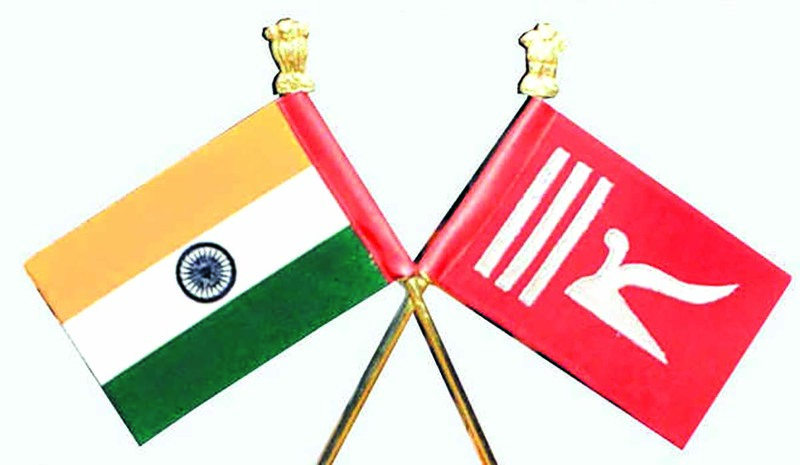 Indian Flag and State Flag of Jammu and Kashmir. We may mention an interesting episode that took place after conversion of the Muslim Conference to the National Conference. To recall, the lawns adjacent to Pather Masjid, where the Muslim Conference was launched, were utilised for construction of a building that was named as Mujahid Manzil, which was used as party headquarters of the Muslim Conference. The green flag was fluttering on top of this building until it was replaced by the National Conference’s red flag. 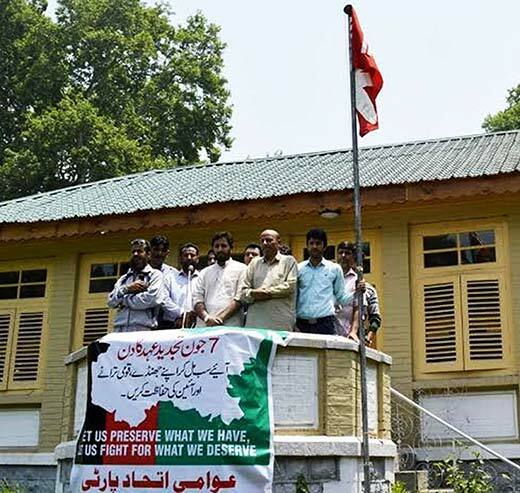 The building was constructed with a substantial contribution of money and labour from a staunch Muslim Conference leader Qureshi Mohammad Yousuf who had opposed the conversion, tooth and nail. Highly angered, the Muslim Conference leader asked for the return of his money or share in the building. Two rooms were allotted to him where he raised banners and flag of the Muslim Conference. It happened when Sheikh Abdullah was not present at the party headquarters. He had been on a visit to Jammu. Pandit Nehru and Sheikh Mohammad Abdullah in a river procession in Srinagar on May 10, 1948. The National Conference flag prima facie corresponded to the Communist flag with identical red background with a scythe, instead of the plough, in the middle. Both flags symbolise workers, labourers and peasants, the slogan of all leftist parties to date. (See Rasheed Taseer, Tareekh-i-Huriyyat-Kashmir (1967 -Mohafiz Publishers, Srinagar) Vol two, pages 76-77) Thus National Conference flag buried the Muslim Conference flag. Since the Muslim Conference flag contained Muslims’ icons of crescent and star, it was not liked by non-Muslims and leftists. With the revival, the visits of Mohammad Ali Jinnah to Srinagar in 1941 and finally in 1944 providing much needed “vitamin” to the Muslim Conference workers. 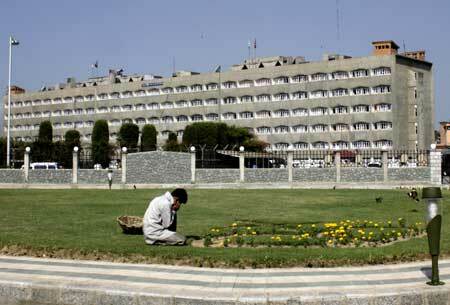 Its green flags were publically hoisted by them at all offices and units of the party in Jammu and Kashmir. Er Rasheed hoisting a state flag. However, after Sheikh Abdullah signed Accord with Indira Gandhi on February 12, 1975, the Plebiscite Front along with its flag was permanently buried. How Gandhi Ji’s Only Visit Changed Kashmir?